ChipsAway guarantee that all new franchisees will receive a minimum of £80,000 of prospective work enquiries in their first year*. Our market-leading franchise has been developed to make it as easy as possible for you to start your own business. You don’t need any experience; we’ll provide all the support you need to make your business a success. After attending a four-week training course, and then an additional one week course after the first 3 months, Ryan generated estimates worth £10,000 over his launch weekend. Since then, he has opened his own Car Care Centre, and is fully booked for weeks ahead! "A ChipsAway franchise gives you the opportunity to buy into a proven business model which works. This means I could change my career without having to lose earnings. When I attended the Open Day, I had the opportunity to use a spray gun to repaint an old vehicle, and that was when I realised how much I liked the idea of painting." Visit our website to find out more, or book onto one of our regular informal Open Days to find out more detail about what it’s like to run a ChipsAway franchise. You can chat to some of our current franchisees and see a hands-on demonstration of the SMART repairs you could be doing. We look forward to seeing you soon! Many talented individuals, including Callum Green from ChipsAway North Tyneside, recently competed against each other at the Skill Auto national finals held at the NEC, in categories such as Automotive Technology, Refinishing, Body Repair and Heavy Vehicle Engineering! Insurance companies have once again come in for criticism from consumer groups, after it was revealed they penalise motorists for accidents or minor damage even when it's not their fault. A smashing summer for ChipsAway! 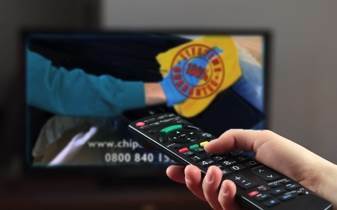 In the past three months alone, ChipsAway has managed to generate well over £10 million worth of repair leads for the network (up almost 300 per cent compared to before TV started), but they have also seen website traffic increase substantially by 17.3 per cent compared to the same period last year. 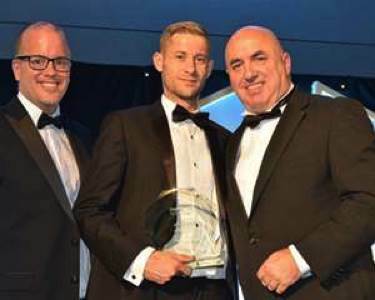 One of the UK’s most successful automotive bodywork repair franchises, ChipsAway, is celebrating two decades of growth across Britain. The group behind the success of ChipsAway and Ovenclean has caught the undivided attention of the franchise industry this week with new plans to extend Franchise Brands Worldwide (FBW).